David W. Olson has been representing individuals facing criminal charges or investigations since 1982. His practice is primarily in south Florida, yet he handles matters throughout the state. He has cared for thousands of clients, and through his vast experience has developed the expertise necessary to effectively handle any type of criminal matter. Mr. Olson’s attorney peer reviews have led to his receipt of the highest possible rating, AV, through Martindale Hubbell. Fewer than 5% of all attorneys receive that honor, and Mr. Olson’s record of vigorous and effective representation of his clients has led to that recognition. The coveted AV honor is based on the opinion of many respected lawyers who have been asked to provide a confidential evaluation of Mr. Olson, to be based on personal experience and observation. Those lawyers have attested to the caring yet aggressive approach of Mr. Olson, and to his excellent reputation in the legal community. The National Association of Distinguished Counsel has also awarded Mr. Olson with its highest honor. That organization states that its mission is to “objectively recognize the attorneys who elevate the standards of the Bar and provide a benchmark for other lawyers to emulate.” Independent and neutral evaluators thoroughly vet attorneys for a judicial review board’s approval process, and only the top 1% in the nation are awarded membership in the National Associated of Distinguished Counsel Top 1%. Mr. Olson is proud to be included in that category. Amongst other accolades, Mr. Olson has been chosen as a member of Top 100 Trial Lawyers by the National Trial Lawyers. Additionally, LexisNexis has included Mr. Olson in The Bar Register of Preeminent Lawyers, and the American Institute of Criminal Law Attorneys has awarded him with the “10 Best” award for Client Satisfaction. 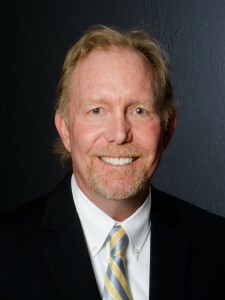 Mr. Olson received his law degree from the University of Florida in 1981. That followed his undergraduate studies at the University of North Carolina at Chapel Hill, where he received a B.A. degree in 1976. Immediately after obtaining his law degree Mr. Olson spent one year practicing civil rights law in the state of New Mexico. In 1982 he returned to Florida upon accepting a position as a trial attorney for the Office of the Public Defender. In that capacity he tried numerous serious cases. In 1985 he created his own firm, with an exclusive concentration in criminal defense. From that time to the present Mr. Olson has continued to exclusively practice in that field, thriving on his motivation and ability to protect the rights and future of each client to the greatest extent possible. Mr. Olson is a member of many organizations, providing him with an opportunity to improve the lives of the disadvantaged and to otherwise protect and promote the rights to which we are all entitled. Those organizations are here. Of course, the primary context within which he is able to help those in need is the criminal justice system. In that regard, Mr. Olson tirelessly advocates for his clients, whose rights are in need of protection and whose liberty and future are at stake. He zealously protects those rights and seeks ultimate success for his clients, whether they are charged with misdemeanors or felonies, in both State and Federal Courts. Mr. Olson recognizes that when one is facing a criminal charge he or she is likely experiencing the most significant problem ever faced. So, if you have been charged or have become entangled in a criminal investigation, it’s never too soon to turn to a competent, committed and experienced attorney. In our firm we truly care about our clients, and we undertake every possible effort to provide each one with the personalized attention designed to achieve the best possible result. For every client, there is no more important case than your case. Our philosophy not only reflects the uniqueness of our care, but is also a pledge of our skills, tough advocacy, and perseverance. You, as a client, are not merely a number or a file, and we never neglect the reality of your humanity and your future. See our Law Firm Philosophy page to learn more. If your need for contact is urgent and exists during non-office hours, you may call our emergency number, (561) 315-4470. Exclusive Concentration in Criminal Defense, State and Federal Courts, since 1982. AV Rated (the highest possible rating, based on peer reviews). The National Trial Lawyers Top 100 Trial Lawyers. The Bar Register of Preeminent Lawyers. David W. Olson, of The Law Offices of David Olson, has been selected to the 2015 list as a member of the Nation’s Top One Percent by the National Association of Distinguished Counsel. NADC is an organization dedicated to promoting the highest standards of legal excellence. Its mission is to objectively recognize the attorneys who elevate the standards of the Bar and provide a benchmark for other lawyers to emulate.